Belarus has made a few gestures of support towards Ukraine, a move which has put it at odds with Russian policy. All of this is unfolding during a time when working relations between Belarus and several Central European countries are improving both economically and politically. A visit from UNESCO's Director-General to Minsk, on the other hand, did not lead to any new high-profile cooperation projects. The Belarusian authorities have carefully avoided any public criticism of Russia's aggression against Ukraine. Nevertheless, Russia has apparently failed to secure support from its Belarusian ally. Foreign Minister Makei spent two days in Moscow meeting with top Russian officials and Putin called Lukashenka on 10 April. However, official communiques have to make any mention of the most controversial topic – Ukraine. Translated from diplomatic language, this signifies that no agreement on the topic has been reached. Meanwhile, the Ukrainian authorities have enjoyed quite a few gestures of support. On 13 April, in his interview with the Russian TV channel NTV, Lukashenka spoke "strongly against the federalisation" of Ukraine and was in favour of an "integral monolithic unified country". He also described both Acting President Turchinov and the Verkhovna Rada as "absolutely legitimate". The two presidents spoke again on 24 April. Lukashenka denied claims that the US was the ultimate cause of the events in Ukraine and blamed Yanukovych for shedding blood there. All these statements run contrary to the position Russia is quite stubbornly promoting in mass media and at international forums. Belarus is stepping up its support for Ukraine and is providing more than just rhetoric. During his visit to an aircraft repair plant in Baranavichy, Lukashenka instructed his government to strengthen cooperation with Ukraine's defence industry. Ukrainian manufacturers of military equipment have had to curtail their cooperation with Russia. It is believed, then, that cooperation with Belarus will help the industry live through these hard times. In Kyiv, Belarusian ambassador Valiancin Vialichka met with the Ukrainian Minister of Agriculture and Food Ihor Shvaika. Both countries are keen to expand their exports of agricultural goods. The fact the Mr. Shvaika is a prominent member of the right-wing Svoboda Party much hated by the Russian establishment adds zest to the situation. Meanwhile, the domestic media has insistently questioned foreign ministry officials about Belarus' aspiration to become a mediator in Russian – Ukrainian relations. Although they have stated their readiness to play such a role if requested by both parties, the Belarusian authorities have repeatedly denied any such overtures in this regard. This, of course, seems to point to a simple truth. Moscow does not want any negotiations. Kyiv, for its part, prefers to have the EU and the US as intermediaries. Being aware of this, Minsk does not want to lose face by advancing an unsolicited initiative. Due to special nature of Belarus' relations with Russia, the country's stance in this crisis remains of interest to the West. This may have been what motivated Polish PM Donald Tusk to call Lukashenka for the first time since the brutal suppression of protests in December 2010 in Minsk. Shortly after the story broke, this conversation mysteriously disappeared from the BelTA's (a state-controlled news agency) news feed. The conversation between Lukashenka and Tusk was yet another change in the ongoing thaw in relations between Belarus and some EU members. Central European countries, and especially the Visegrad Group, have set the tone in this process. Belarus and the Czech Republic discussed cooperation in agriculture within the framework of an intergovernmental working group. Belarusian Deputy Foreign Minister Alena Kupchyna held several high-level meetings with the executive and legislative branches of government in Bratislava. She visited Slovakia to lead the Belarusian delegation at another round of political consultations between the foreign ministries. Two weeks earlier, Belarus and Slovakia held consultations on consular matters. Before her visit to Slovakia, Kupchyna was in Ljubljana to hold political consultations with her Slovenian counterpart. That visit had an important economic component as well. The two countries are preparing for the next meeting of a bilateral intergovernmental commission on trade and economic cooperation and a future business forum. The Development Bank of Belarus and Eximbank Hungary Plc. signed a mid-term loan agreement in Budapest. Eximbank will finance Hungarian imports to Belarus up to a value of $10m. Overall, Belarus has succeeded in establishing rather positive and pragmatic relations with the Hungarian conservative government. The meeting of the Belarusian-Polish working group on trade and investments held on 2 April was yet another important event in the nation's developing ties with Central European countries. The group had not meet for five years despite Poland's status as the fifth largest investor in Belarus. Two deputy ministers represented the Polish side in Minsk. Integrating its power grid with its European neighbours was one of the most important topics of discussion at the meeting. Belarus has consistently sought to strengthen energy cooperation with its neighbours in order to mitigate its energy dependence on Russia. The Central European countries, together with the Baltic States, hold the strongest anti-Russian sentiments among all of the EU member countries. 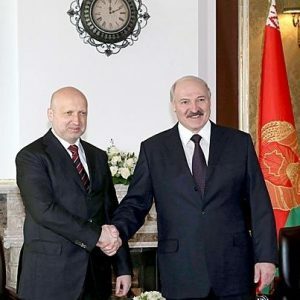 The improvement of relations between Belarus and these countries run counter to Russia's geo-strategic interests. The protection of traditional family values has become a true priority for Belarusian diplomacy. Belarusian diplomats use every single occasion they have to promote this concept as part of its the multilateral agenda. In April, they rolled out a big gun. Deputy Foreign Minister Valentin Rybakov went to New York to raise this topic at a meeting of the UN Open Working Group on Sustainable Development Goals. Usually, the diplomatic staff based in New York or mid-level officials from the capital represent member states at meetings of this level. Later on, a junior official at the Belarusian Ministry of Labour raised this subject at the 47th session of the Commission on Population and Development. However, Belarus is still failing to reverse the dominate liberal trend, which downplays the role of the family as the basic social institution. Most countries prefer to focus on other social issues and render little support to these kinds of conservative values. This year, Belarus is celebrating the 60th anniversary of its UNESCO membership. Although they joined UNESCO together with Ukraine, Minsk and Moscow held a series of commemorative events in Paris without Kyiv. The "Slavic brotherhood", often displayed at multilateral organisations, has now fallen prey to the ongoing Russian-Ukrainian conflict. The joint commemoration of the Chernobyl anniversary will necessarily become its next victim. A visit to Belarus by UNESCO's Director-General, Irina Bokova, became the celebrations' focal point. Irina Bokova met Alexander Lukashenka and Vladimir Makei. She also attended the ceremonial session of the National Commission for UNESCO. All parties praised ongoing cooperation between Belarus and UNESCO. However, neither Irina Bokova nor her Belarusian colleagues unveiled any forthcoming high-profile projects. On 14 April, the Belarusian Institute for Strategic Studies published a new issue of its Political Mediabarometer. Pavel Sieviaryniec, co-chairman of the Belarusian Christian Democrats, is now the new leader in terms of media presence in Belarus. Sieviaryniec' success demonstrates emergence of a new generation of Belarusian opposition. Zmicier Dashkevich of the Young Front and Aliaksei Yanukevich of the Party of the Belarusian Popular Front also faired well in the study. Preparations for local elections attracted little attention in the media, while the number of references to the opposition discussing bread and butter issues decreased from 10% to 8%. The opposition remains reactionary, not proactive, with their messages to the public. Mainly they spread information related to releasing political prisoners, celebrating the 25th anniversary of the Belarusian Popular Front or their own organisation congresses. Despite this trend, the volume of proactive communication that opposition politicians themselves have initiated has increased. BISS`s research shows that Paviel Sieviarynec has become the most prominent member of the opposition in the Belarusian media. His release and rapid ascent into the political arena has, in large part, contributed to this phenomenon. Uladzimir Niakliajeu slipped to second in the rankings, although he remains the most popular opposition politician in Belarus. According to the Independent Institute of Socio-Economic and Political Studies (IISEPS) his rating is holding steady at 7.1%. Niakliajeu, Alexander Milinkevich and their deputies will primarily decide who will challenge Lukashenka in the coming presidential elections in 2015. During the period studied, Anatol Liabiedzka from the United Civic Party published a book. The 25th anniversary of the Belarusian Popular Front helped Aliaksei Yanukevich, the party`s leader, to stick around the top of the rankings. Zmicier Dashkevich, leader of the Young Front, took fourth place largely thanks to his organisation's active congress. The number of references of females politicians declined from 16% to 9%. Maryna Adamovich, wife of Mikalai Statkevich, remains popular in the media, but this is largely due to the fact that acts a conduit who transmits news about her husband (who remains in prison). The number of references to Anastasia Dashkevich after her husband's release has declined, although she remains a prominent member of the Tell the Truth campaign. The ratings for political organisations in the media is very similar to the ranking of individual politicians. For the first ranking, the study assessed the media presence of coalitions. According to their research, Narodny Referendum (People's Referendum) had much better results than Talaka. This ishappened because of the growth of its offline activity, proactive communication and the variety of politicians that represent the coalition. The focus of each coalition differs. Narodny referendum focuses on bread and butter issues and Talaka on the demand to hold free elections. Over the period of this study, reachers noticed a rapid growth in the number of Belarusian opposition references in the media – from 3,217 in July-September 2013 to 5,998 during October-December. While these references do not indicate that the opposition is gaining ground politically, it does appear to indicate that the opposition is intensifying its efforts. However, this activity rarely deals with the lives of ordinary people. The 11% growth in the sheer number of mentions of ordinary opposition organisations members is evidence that there is an awakening occurring amongst democratic forces. BISS analysts have defined the four catalysts of political communication during this period as: the release of Sieviaryniec, the 25th anniversary of the Belarusian Popular Front, the anniversary of the 2010 presidential elections and the events in Ukraine. 59% of the references found were from online resources, with 31% of those references having retained party information within their content. The significance of Facebook has also grown, according to the study, although the study did not cover vk.com – a Russian-language social network and perhaps the most popular social network and overall web site in Belarus. Preparations for local elections was all but invisible in the media. Objectively, the opposition did little in the way of making this issue front page news. Public issues like prison releases, deaths or religious holidays were the most popular topics of the opposition. The topic of repression will likely remain at the top of these rankings as long as they exist. International relations' relevance spiked upwards due to the events in Ukraine. The economy has slid to eighth place, though this might be in part due to the fact that the opposition raises these issues primarily as coalitions. Despite the stereotypes, the opposition's media presence in almost half of the cases analysed were associated with more practical work. The study's authors wrote that public events, policy implementation or meetings with foreign politicians were the opposition's principal activity. BISS also divides up the types of references into different categories. One third of the references discovered were related to a more general pool of information, while in 31.7% of the references discovered, Belarusian politicians were mentioned as participants in an event – this is in reference primarily to Yury Hubarevich and Aliaksei Yanukievich, who visited Maidan in Kyiv. Opposition Awakening Before the Presidential Elections? Reports such as these would seem to suggest that the opposition has awakened after a period of slumber. 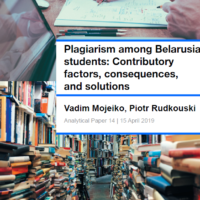 While their actions do not usually go beyond the "opposition ghetto", as people say in Belarus, the growth in the number of references and the appearance of a new popular leader in the media appear to indicate a period of intense political activity. Seviarynec will continue to occupy to the upper end in the rankings. He will likely try to play the role of an opposition coalition builder as well as a coordinator of the process for selecting candidates for the presidential elections. Seviarynec himself cannot stand as a candidate due to his recent imprisonment and his party has no viable alternative. His colleague from the Belarusian Christian Democrats, Vital Rymasheuski, lacks credibility in the eyes of other opposition politicians which means that Seviarynec's party does not have a contender in the upcoming elections. A growing number of young politicians are coming into their own. Unlike their older colleagues, individuals like Sieviaryniec, Dashkievich, Hubarevich, Dzmitryjeu, Lahviniec, Yanukevich rose to prominence 10 or even 15 years ago, after Lukashenka came to power. A generational overturn is gradually unfolding in Belarus.